. Mozrzymas JW, Barberis A, Michalak K, Cherubini E. Chlorpromazine inhibits miniature GABAergic currents by reducing the binding and by increasing the unbinding rate of GABAA receptors. J Neurosci. 1999 Apr 1;19(7):2474-88.
. Balestrino M, Somjen GG. 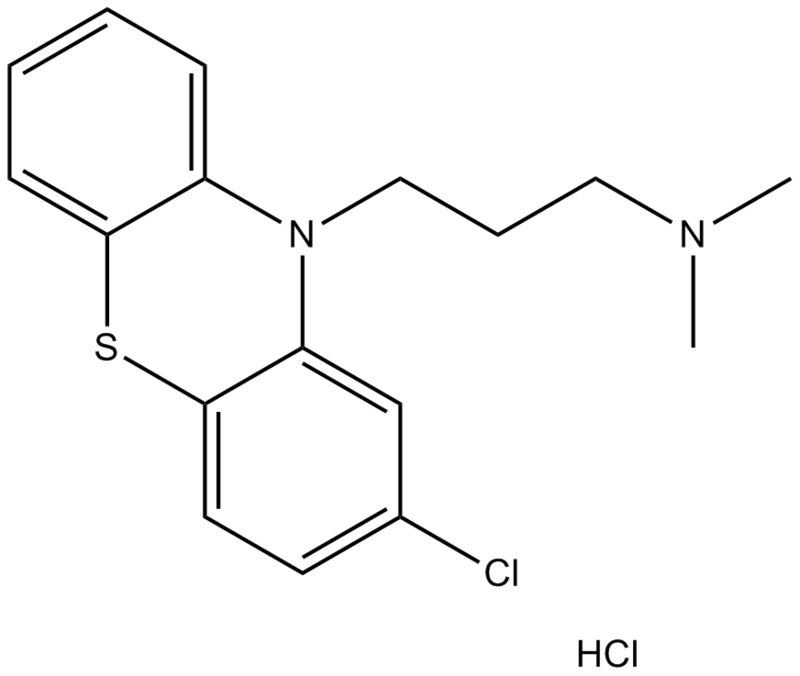 Chlorpromazine protects brain tissue in hypoxia by delaying spreading depression-mediated calcium influx. Brain Res. 1986 Oct 22;385(2):219-26. Harrold MW, Chang YA, Wallace RA, Farooqui T, Wallace LJ, Uretsky N, Miller DD. 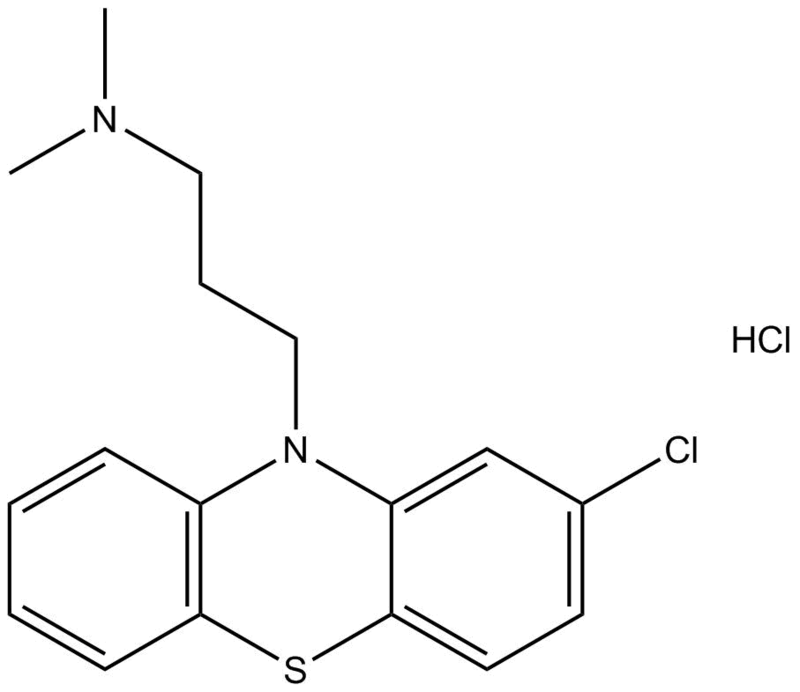 Charged analogues of chlorpromazine as dopamine antagonists. J Med Chem. 1987 Sep;30(9):1631-5. Nsimba SE. Effects of daily chlorpromazine administration on behavioural and physiological parameters in the rat. Indian J Physiol Pharmacol. 2009 Jul-Sep;53(3):209-18.